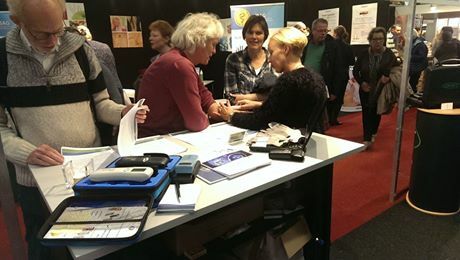 We ran out of brochures for Scenar again at Internationaal Therapeut exhibition in Apeldoorn, Netherlands last weekend (12-13th November). Lots of practitioners in Holland are pleased to see Scenar represented at a show for the first time in years. Mariella Alberts did an excellent job running the RITM Scenar stand.